KRAMBU constructs data center facilities to unique blockchain specifications. Our thermally tested building designs were carefully crafted to meet the challenges of high density blockchain computing and cryptocurrency mining at data center scale. By bringing enterprise-grade data center infrastructure to blockchain, our custom-designed data centers provide the highest density and performance on the market. Our blockchain data centers allow us to push the limits of high density infrastructure. 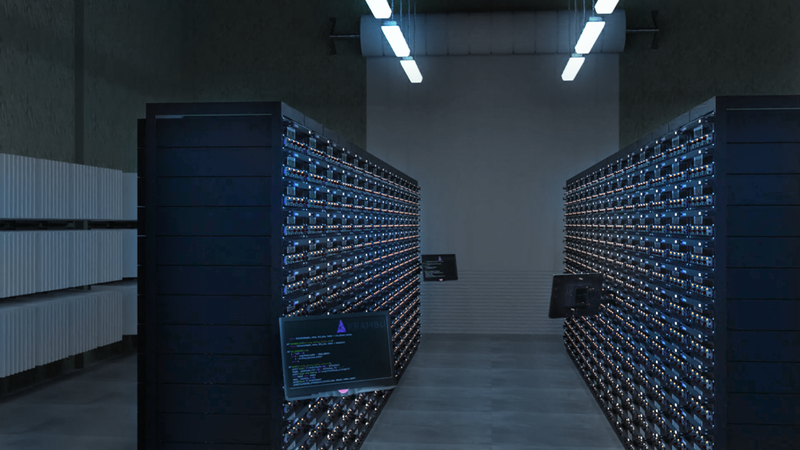 Our blockchain computing systems achieve 72 AICs (GPUs, FPGAs, ASICs) per square foot of data center space, over 10x the density of competing systems. This enables massive density and scalability with our data centers reaching 44,000 AICs in a 3,600 SQFT footprint. Purpose built for blockchain computing, our data centers host the highest density of GPU and ASIC computing architecture for scalability. Designed for modularity, reduced cooling costs, and low maintenance, our data centers offer maximum computing efficiencies. Employing rack scale architecture, our equipment operates with enterprise grade reliability and performance for massive scalability. We are currently operating data centers in multiple locations throughout the Pacific Northwest. Remote access and oversight allows us to continuously monitor our operations while also debugging software, resetting failed systems, and flashing firmware updates “over the air”. KRAMBU is developing three new Data Center locations over the course of the next five years. These three locations will utilize a combined 1GW of green and sustainable energy for blockchain processing. 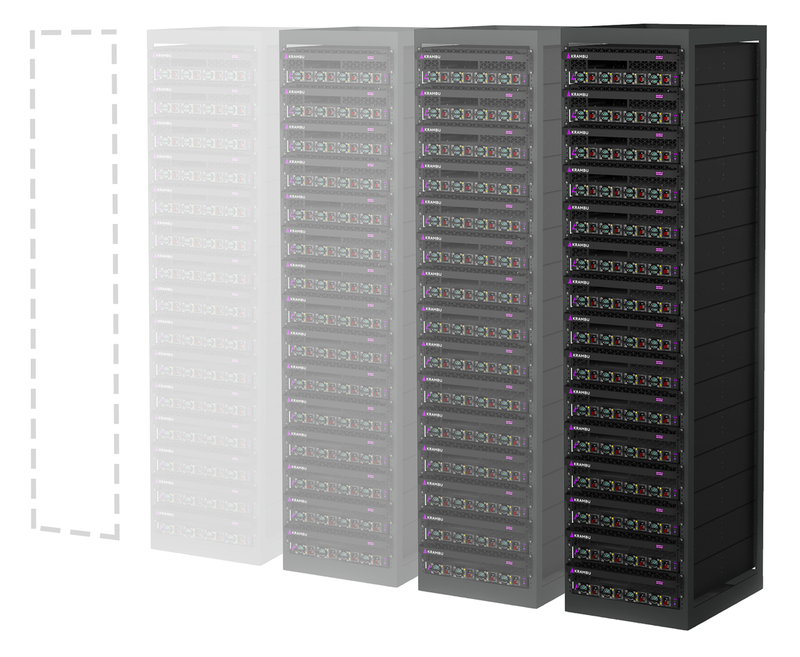 Utilizing our infrastructure, shorten your time to market and accelerate scalability plans by harnessing our technical expertise and pre-built colocation framework to quickly deploy compute infrastructure. Please submit the form and we’ll respond to your data center inquiry as quickly as possible.